Young Elisabeth Báthory was without a doubt a beautiful woman from this and other portraits made of her. Did she, as legend has it, sadistically torture and kill her maids? Recent news stories of human trafficking and foreign maids being held prisoner pale in comparison to the horrific legend of a sixteenth century noblewoman who not only enslaved her servants, but brutally and sadistically tortured him. But how much of the bloody tale of "Countess Dracula" is historically accurate? In Laval, Québec, Canada, a couple were arrested for human trafficking after neighbours took notice that their Ethiopian maid rarely ever left the home where she worked. The couple had reportedly confiscated her personal documents and they threatened to deport her if she left their home. "She was essentially a prisoner," the Canadian Press quoted RCMP Const. Magdala Turpin as saying. Not far to the south, in the Long Island community of Central Islip, New York, another couple were arrested for forcing their two Indonesian maids from leaving the house except to take trash to the curb. The Associated Press reported that "prosecutors said the women were subject to beatings, had scalding water thrown on them and were forced to repeatedly climb stairs and take as many as 30 showers in three hours as punishment for misdeeds." The enslavement was uncovered when one of the women escaped and "was found wandering outside a doughnut shop wearing nothing more than pants and a towel." These two cases of strange enslavement over the past week harken back to a far darker case of a noblewoman from what is now the Hungarian, Austrian and Romanian borderlands. 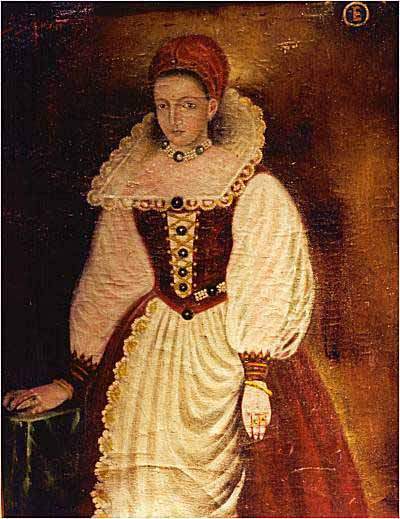 Not only did Erzsébet (Elisabeth) Báthory keep her maids prisoner, she brutally and sadistically tortured and murdered them. Báthory remains infamous as the "Bloody Countess" who obsessively would lure and then brutally murder young women who she hired as her servants, especially in her older years. There are some parallels between the horrific legend of Báthory and the Wallachian prince Vlad Tepes. Although they lived two hundred years apart, both are reputed to have influenced Bram Stoker in writing his famed novel, Dracula, however there is no evidence from the writer's notes to support these theories. Báthory nonetheless, just like Vlad, continues to have her image connected to utterly bloody and horrifying behaviour, glorified in popular culture for instance in the 1971 Hammer film Countess Dracula starring Ingrid Pitt, and even in waxwork museums. 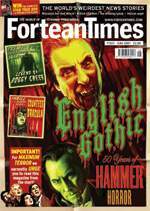 Journalist Sean Thomas wrote of the controversy surrounding Báthory in the latest Fortean Times which celebrates 50 years of Britain's Hammer horror films (think of Peter Cushing playing The Mummy, Christopher Lee as Dracula, and even sexploitation cinema such as Raquel Welch in One Million Years B.C.). Countess Dracula was certainly the kind of bloody tale that the studio relished. In his article, Thomas personally retraced Báthory's steps, visiting the many castles she occupied through to her arrest by the Palatine of Hungary, Count György Thurzó, in 1610. The violent legends of the Countess and her family began when she was only 10 years old and witnessed firsthand how a gypsy thief was sewn alive into a stomach of a rotting horse. This was one of many incidents throughout her life that apparently influenced her own violent behaviour. Married to the notorious soldier and count Ferenc Nádasdy of Fogesforald at the age of 15, the couple moved in to one of her husband's castles, Sárvár. There, according to witnesses at her 1610 trial, her reputation for torturing her maids became well known. Witnesses testified that she, encouraged by her husband, would jab pins under their fingernails, thrash them with stinging nettles, and have them stripped and covered with honey to be let loose on the grounds and stung by insects. But these stories paled in comparison to the terrors that gave Báthory the title "The Bloody Countess." According to Thomas, historical records clearly suggest that the couple were quite interested in witchcraft, and as a result, Báthory surrounded herself with an unusual cast of characters including her bisexual sorceress aunt, a lesbian witch and a servant dwarf - certainly the offbeat types who would make any Hammer horror film complete. Travelling from castle to castle, Báthory reputedly attracted new young maids to torture in increasingly brutal ways. "According to the allegations, one of Báthory's favourite tricks was to press red-hot coins into the hands of the girls she accused of stealing," Thomas wrote. She was also accused of putting a hot iron on her maids' bare feet, torturing them in the ironically named iron maiden, even ripping the jaws on one maid open with her bare hands. After the death of her husband, Báthory's sadistic behaviour was said to become even more extreme. One of the terrifying tales is of a woman stripped naked and sent out into the snow to be splashed with water until she turned into a pillar of ice. Famously, Báthory is said to have ordered her bath to be filled with maids' blood "as a cosmetic remedy for her fading beauty," Thomas wrote. It is hard to determine how true these claims are. Hungarian scholars have long suspected that Báthory was the victim of the politics of the time, and feminist historians theorized that Báthory was actually a "smart and spirited woman condemned by a misogynist patriarchy," Thomas wrote. This view is being put forth in an upcoming dramatization of Báthory's life by Slovakian filmmaker Juro Jakubisko. Again, here you see a parallel between the opposing historical views of Vlad Tepes as brutal mass murderer and national hero. Likewise, many believe Báthory has been given a bad rap through fabricated accusations documented in her trial and the sorcery angle. Essentially, these historians believe that she was demonized to "cleanse the national record" which was fraught with brutal wartime violence. Yet, there remain historians who view Báthory as "the quintessence of female evil," Thomas wrote in the Fortean Times, "a cannibalistic lesbian who slaughtered hundreds of virgins." Although Thomas's own journey through Báthory's life may not shed more light on whether or not she committed these heinous acts, it does serve as a reminder that people love a good horror story, moreso when they believe it actually happened. Tony Thorne, Countess Dracula: The Life and Times of the Blood Countess, Elisabeth Báthory, Bloomsbury Publishing, 1997.